If the kitchen is the heart of the home, then what makes it beat for many people is having a range oven as the centrepiece. Range cookers not only bring a touch of tradition to a kitchen, but also make life much easier with their large capacity ovens, spacious hobs and renowned cooking efficiency. Perfect for catering for a family and ideal for gourmet cooks, Knees stocks a variety of free-standing range ovens. We have different models of range cookers available from the best known brands. Choose from energy efficient electric induction range ovens and cookers of various sizes from top makers like Belling, Rangemaster, Smeg and Stoves. 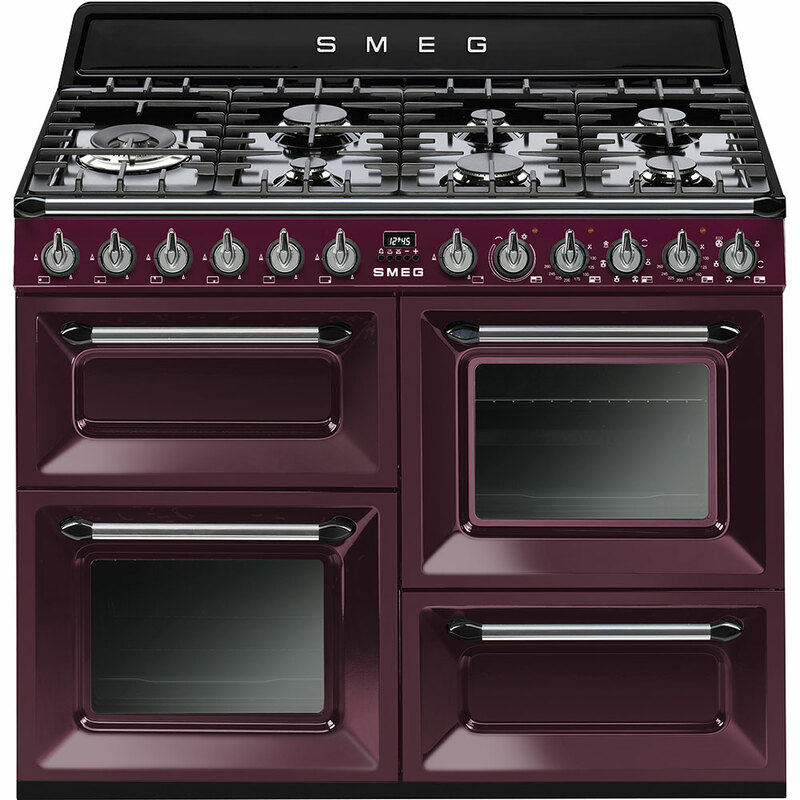 Perhaps you would prefer a dual fuel range cooker, with gas hob and electric oven, available in a vast array of sizes and styles from farmhouse and country cottage classic cookers to sleek contemporary cookers in stainless steel and a selection of colours. Unlike the old-fashioned ranges of yesteryear, modern range ovens are equipped with the latest technology which make them fully programmable, easy to clean and A-rated for the best energy efficiency. Depending on the model, the range cookers include features like a slow cooking oven, removable grill, and a wok burner. Some models have a ceramic glass surface hob which many prefer because they make for easy cleaning. 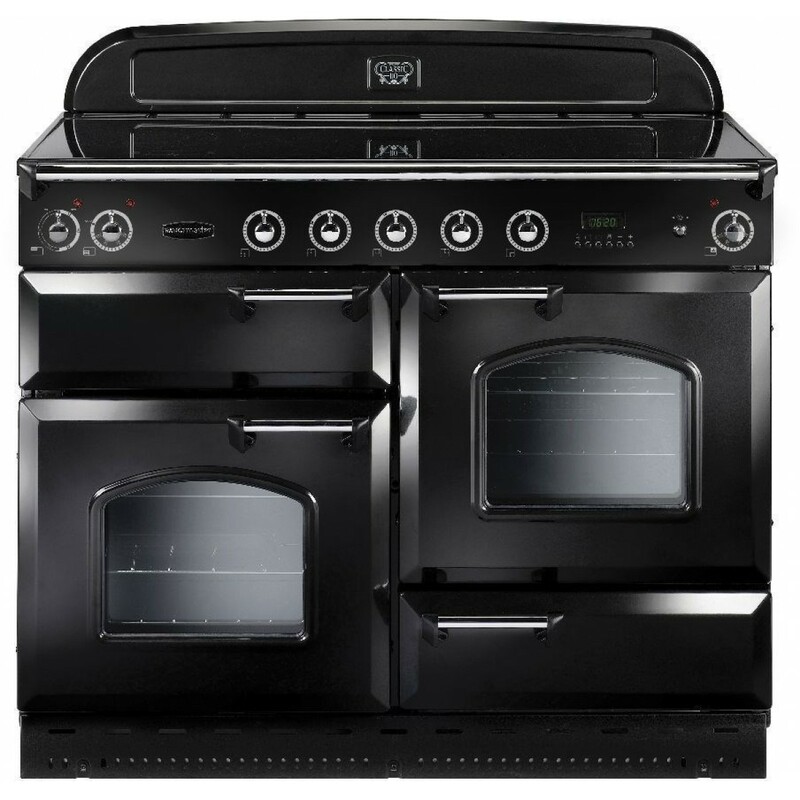 If you are shopping for a range oven in West Wiltshire, including Warminster, Westbury, Trowbridge, Melksham or Bradford on Avon, or if you are looking for a range cooker in Bath or Frome, Knees will be happy to deliver the range oven of your choice for a set charge. We also offer a range of installation services and for a small fee can remove and recycle and old appliance. You can view our range ovens online or visit our shops in Trowbridge or Malmesbury and get expert advice from our friendly staff. Fast, clean and energy efficient, an induction hob gives you precise control and are available with a wide variety of oven types. Combining the responsiveness of gas with the speed and efficiency of electricity, dual fuel ranges are a popular choice. We sell a great cross section of all types of ranges from respected brands Rangemaster, Belling, Smeg and Stoves. Don’t forget about a hood and splashback to finish the look for your new range. 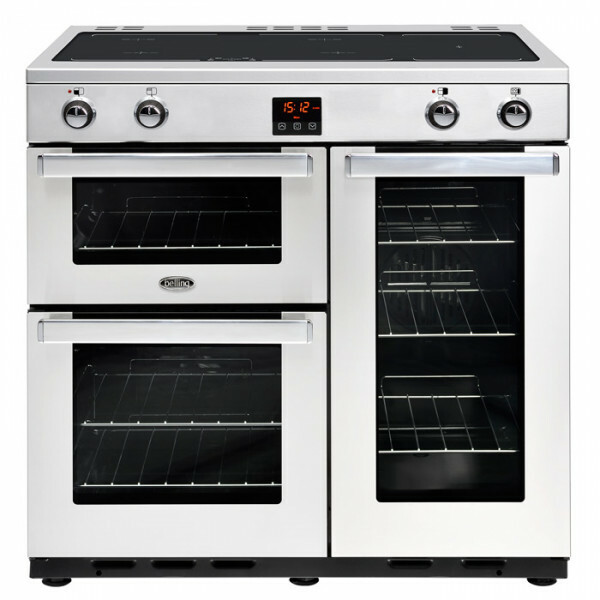 Range ovens typically come in 90, 100 and 110cm (although 60cm and 120cm are available). The wider you go the more cooking space you have both on top and underneath. 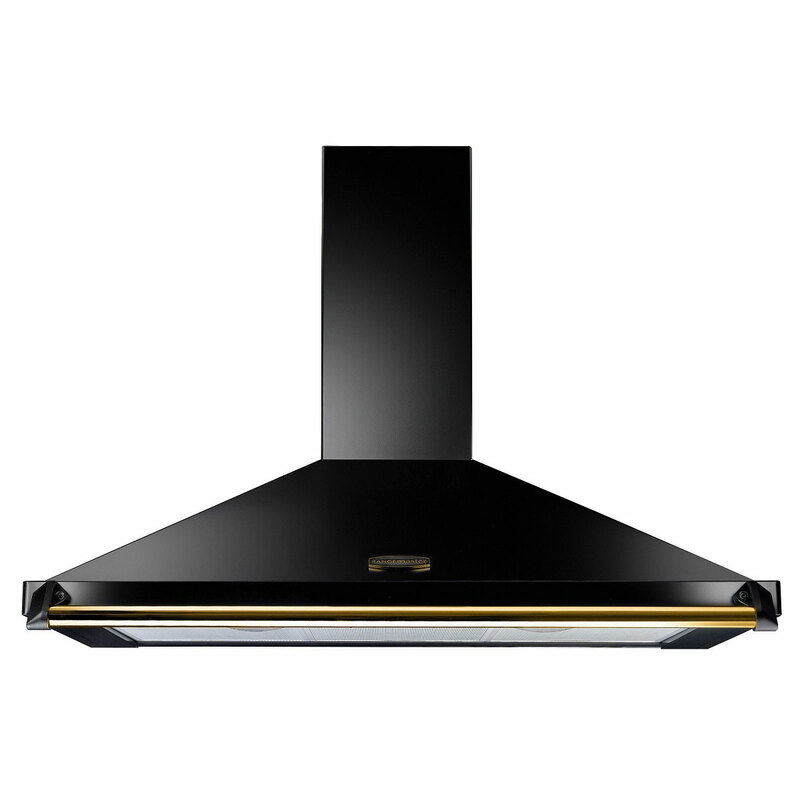 A 110cm range is an impressive size which will function as the focal point of your kitchen and will usually give you six or seven gas burners or induction rings. At this size, two ovens and a separate grill would be the norm. Often one oven is fan, the other multifunction. If you love cooking, have a large family (and kitchen) and love entertaining, thinking big may your best option. However, if you are unsure whether you will use all that cooking space, you might be best to go for a more modest size. A 90cm range will still give you five burners and two ovens of a respectable size. Plus, there can be quite a difference in price for that extra 20cm. The main choice is electric induction or dual fuel. Many people feel safer with the latter – it combines the responsiveness and familiarity of a gas hob with the speed and efficiency of an electric oven. However, induction cooking is becoming a popular choice. It’s incredibly fast, and highly controllable, making it energy efficient and giving you precise control over your cooking. What’s more, the smooth surface of the hob looks fabulous and is incredibly easy to clean – a quick wipe will do it, no need to scrub heavy pan supports. Options for electric ovens are conventional, fan and multifunction, depending on the specific brand and model. Once the sole preserve of the country farmhouse kitchen, range ovens can now be found in the most modern of homes and come in a whole array of styles and colours, from traditional cream to China blue. The curvy lines and softer colours of the Rangemaster Classic will look right at home in a period house or country cottage whereas the sleeker lines of the Stoves Richmond in Jalapeno red will give a more contemporary style kitchen the wow factor. Buying a range oven is a major investment and there can be a wide range of prices, which reflects the different levels of technology involved and the added extras and features. Few will fail to appreciate a self-cleaning function and telescopic shelves but do you really need some of the less common functions? Our knowledgeable and experienced staff can help you understand exactly what you are getting for your money. And, make sure you keep an eye out for our promotions and offers. Before you buy please do make sure you read our delivery information guide. Range Ovens can be challenging to deliver because of their size and weight. Please be aware that doors need to be more than 60cm wide to accommodate delivery, where doors are not wide enough we may need to remove internal doors and the range oven doors to gain access. There may be an additional cost for this. We can organise for a site survey to confirm costs and check any considerations for a problem free installation, connection and delivery of your range oven. A site survey fee is non-refundable and costs £20.00. This includes surveying gas and/or electrical connections. If you would like to organise a site survey please email us on info@knees.online. We deliver across the UK. Our installation radius covers areas local to our stores including Bath, Frome, Warminster, Devizes, Bradford-on-Avon, Westbury, Melksham and Chippenham. Working out the right range for you can be confusing. At Knees, we pride ourselves on offering exceptional customer service and will always go that extra mile to make sure our customers get the best advice. We offer competitive prices on our products as well as a Price Match Promise. Why not visit one of our stores to discuss your needs with our staff who will help you understand the different options and make sure you get the right range for your kitchen, your family and within your budget. Our stores are located in Trowbridge and Malmesbury. We have done the hard work for you. Local delivery and installation options available.